This baked chicken parmesan foil pack dinner is an easy keto friendly, gluten free and fast family friendly dinner recipe idea. I have been leaning into my community a lot lately for garnering some great inspiration for recipes, and one of the things you’ve been asking for is easy one pan suppers. Foil pack dinner recipes have become really popular lately, and I think for good reason. They’re super easy to make and they’re super easy to clean. MAJOR win, win! The other thing you’re all asking for is more chicken breast recipes. 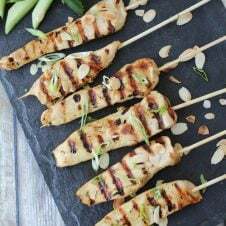 In fact, some of the most popular recipes on my blog is with chicken breasts. I get it. Chicken breasts on their own are kinda boring, so we could all use some more inspiration when it comes to jazzing them up. 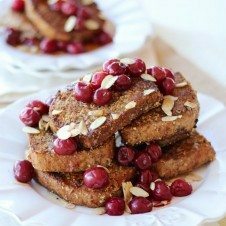 Oh, and lower carb, keto friendly recipes – you want those too! 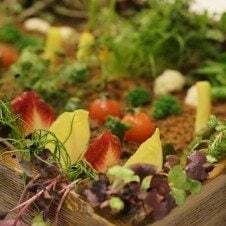 And even though I am personally not a fan of the diet for weight loss purposes, hey, if eating less carbs makes you personally feel good (I get that this is a totally personal thing), then I want to ensure you have balanced options to do it with. Bacon, on cheese, on a full-fat hamburger patty wouldn’t be my first choice. 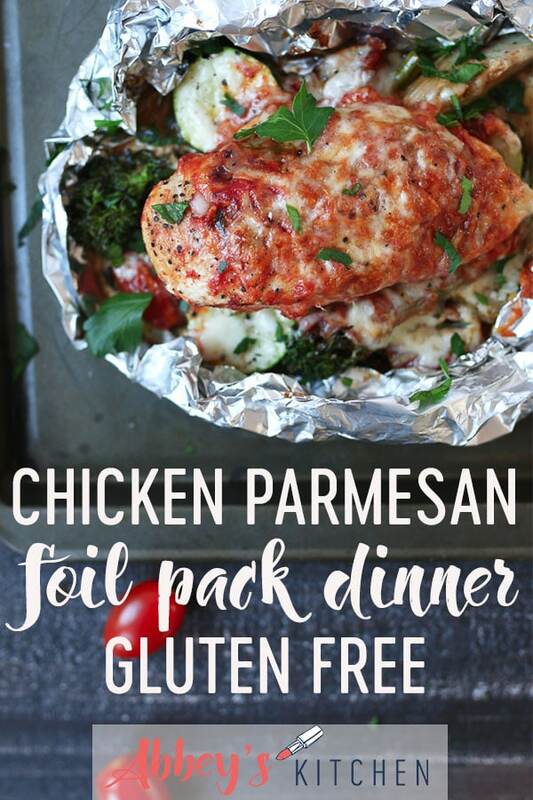 So today I wanted to hop on the foil pack dinner bandwagon with this easy baked keto friendly chicken parmesan foil pack dinner recipe. It’s chicken-y. It’s cheesy. It’s got veggies hiding underneath. Seriously, what’s not to love. I like cooking when the clean up pretty much just involve throwing something into the trash. My hubby would also seriously agree. So these baked chicken parmesan foil pack dinners are DA BOMB. Now, I am really big on the texture of chicken breasts, and my hubby claims I make the BEST chicken breasts in the world. I humbly agree. I think it’s important to give them a little sear in a pan to get some colour, but if you’re in a pinch you can TOTALLY skip this step. I just think we need to give chicken breasts a little help wherever we can, #amiright? I then add some chopped zucchini, and rapini plus some jarred sun dried tomatoes and artichoke hearts to my foil pack, top it off with some store bought marinara sauce (I always use a low sugar, low salt version), and a handful of grated cheese. This easy baked chicken parmesan foil pack dinner is legit all you need for a light meal, or you can serve it on top of some cooked pasta, quinoa, crusty bread, or polenta if you’re not making this keto friendly, or in some cases, gluten free. Ooooo polenta would be extra dreamy. It’s also not breaded or fried like traditional chicken parmesan because I use the oven instead of the deep-fryer so it’s a much lighter, more balanced choice. Now lovelies, tell me – what are you throwing into foil packs these days? Have you tried my baked chicken parmesan foil pack dinner recipe? To a large nonstick skillet, heat the oil over medium high heat. Sprinkle the chicken with salt and pepper and pan-fry until lightly golden, about 3 minutes per side. Meanwhile, preheat oven to 400 F.
Lay out four sheets of tin foil, about 15 inches in length. Divide up the zucchini, rapini, artichoke hearts, sundried tomatoes, cherry tomatoes, oregano, and a pinch each of salt and pepper. Top the veggies with a chicken breast in each pack, and top that with marinara sauce, and cheese. Spritz the inside of the foil of oil or nonstick spray (to prevent the cheese from sticking). Fold the short sides up (top and bottom), then fold the left side over the chicken, and then the right side over. Open up the package and bake for an additional 7-8 minutes until the cheese caramelizes a bit and the chicken is 165 F inside. Carefully transfer the foil pack to a serving plate, top with parsley and enjoy! Before I try this, do you use brined artichoke hearts or plain? This goes straight on my menu. I’m making this next week for me and my boys. Love that you aded so many veggies + artichoke hearts, my fav! And off course CHEESE!!! Yum! Delicious! Yum, this looks so delicious!! I am going to give it a try!